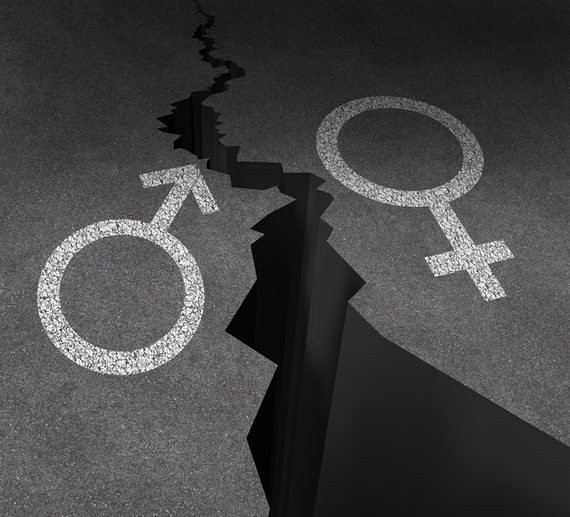 The C-Suite Gender Gap: What Factors Continue to Play a Role? It's well-known that an ongoing issue in the enterprise world is lack of women in senior leadership positions. While nearly 40 percent of Fortune 500 CEOs have an MBA, women make up only about 25 percent of business school populations. That's according to entrepreneur Kristen Fanarakis, who recently wrote about her experience dealing with the gender gap in leadership in the corporate world. A graduate of MBA@UNC, UNC Kenan-Flagler Business School's online MBA program, Fanarakis says a big reason for this disparity is the need for more educational flexibility for women. Referencing a 2015 study of women in the workplace, she says worries about balancing work and family life hold women back from seeking both advancement in the workplace and pursuit of an MBA. In that light, Fanarakis emphasizes the need for business schools to offer program flexibility to provide women with more opportunities to achieve their educational and career goals. Women lack the ambition to be leaders. It's not that women aren't ambitious, but that they face more obstacles than they're willing to deal with. This persistent lack of executive ambition appears to be due to a variety of factors, including the top-cited concern of too much "stress/pressure" because the path to leadership is more difficult for women than it is men. The playing field is uneven. Women who participate in the game of business do so with a different set of rules. The study found that women are "almost four times more likely than men to think they have few opportunities to advance because of their gender--and they are twice as likely to think their gender will make it harder for them to advance in the future." Gender diversity isn't a priority. The study found an apparent gap in the perceptions that companies have about their CEO's commitment to gender diversity and the reality of what's actually taking place. Although 74 percent of companies said their CEOs were on board, less than 50 percent of the employees felt that way, and only 30 percent viewed gender diversity as a top priority for their direct managers. Participation in employee programs is low. The problem wasn't lack of an availability of programs--those numbers were high. The study found that employees didn't take advantage of programs that offered flexibility and career development because they were afraid to. "More than 90 percent of women and men believe taking extended family leave with hurt their position at work." Inequality on the home front. It's the same old saga of women continuing to carry a disproportionate load of work when it comes to child care and housework--which impacts their abilities to balance home and work responsibilities. "Even in households where both partners work full-time, 41 percent of women report doing more child care and 30 percent report doing more chores." Their circles of influences differ. The study found that the networks that men and women participate in are very different--with men sticking to their male counterparts, and women with mostly female or mixed groups. Since men hold the majority of senior leadership positions, women may have less access to those who can sponsor them for advancing positions. While the findings may seem discouraging, they don't need to be--especially since a clear understanding of current reality is always the starting point for great change. By understanding what factors continue to play a role in keeping women out of the C-suite--and taking specific steps to address them--we can all work together to help narrow the gender gap in leadership within the corporate world. Molly Greenberg is the community content manager for MBA@UNC, UNC Kenan-Flagler Business School's online MBA program. Molly was named one of Washington's 100 top tech leaders by the Washingtonian in 2015 for her in-depth media coverage of the business of higher education, education policy, education technology, and startups across the D.C., Maryland, and Virginia region.